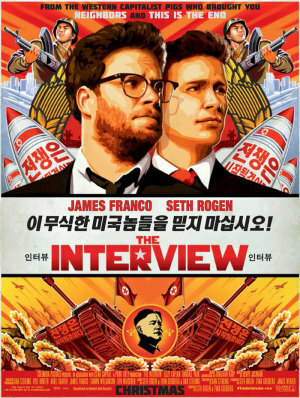 The Interview poster has become quite a popular item on eBay today due to the cancellation of the film by Sony Pictures. 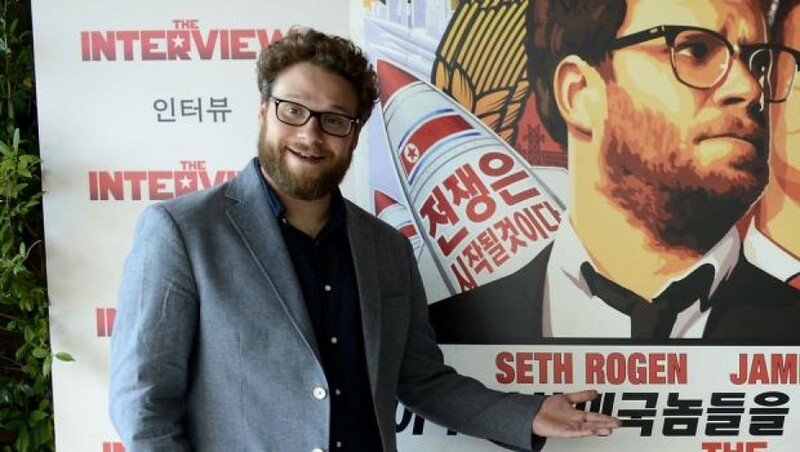 The Interview, a comedy starring Seth Rogan and James Franco that was to be released on Christmas day, sparked a tremendous amount of criticism through its plot which had celebrity tabloid tv hosts Dave Skylark (James Franco) and his producer Aaron Rapoport (Seth Rogen) seeking to interview North Korean leader Kim Jong-un after finding out he was a fan of the show. While preparing to head out to Pyongyang, the CIA decides to recruit the two hosts for a mission to assassinate the leader. Although critics have rated the picture a low score, I can only imagine that with a plot like this, hilarity ensued! However, a group calling themselves the Guardians of Peace didn’t find any of this funny and have taken credit for the major hack job that Sony Pictures suffered from last month. North Korea denies that they had anything to do with the attack. As a movie poster collector myself, I was on the fence about picking up this poster due to its low reviews, but I’m glad I did! Earlier this morning, a few of the posters were listed on eBay for anywhere from $20 to $50 depending on how many bids they had. Presumably, the higher bids were all due to the negative press this film was receiving. In the past couple of days, a few major theatre chains decided to pull the film and promised not to have any screenings due to threats being made by the Guardians of the Peace group. At this point, eBay exploded into a frenzy. The original theatrical posters were now getting bids as high as $375 with more time to go! 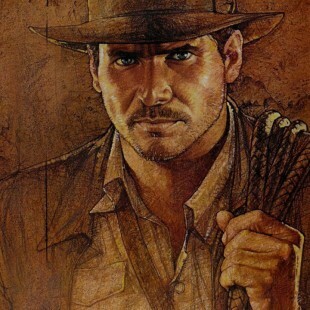 I’ll post a review and closer look at this poster when I get mine. Only time will tell, but I’m curious how this will play out. 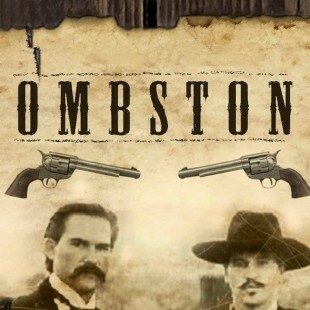 Will Sony eventually release this film on DVD and Blu-ray? Will they stream it online at some point? Or will this film go down in history as one of the few (if any) that will never see the light of day after already being completed and fully marketed? Whatever the case may be, I’m sure these movie posters and anything related to the film will remain something special.